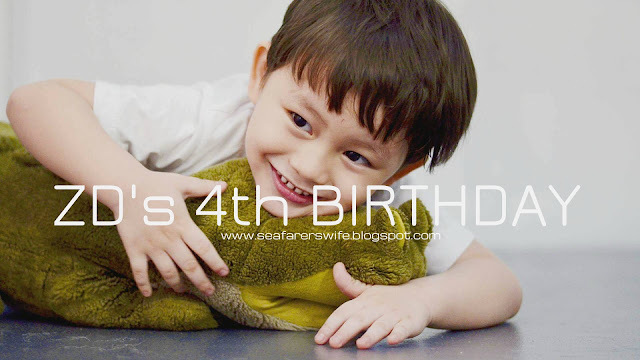 Time flies so fast now my Zd bear is wearing the XL diaper. Before when my Zd is one to six months old I just used the ordinary diaper. Yup! No brand name and it's very affordable. But when my Zd bear is growing up when he is six months old unfortunately he had rushes and allergy. Until it happened that his rushes became watery and turns red, almost all of the area of his private occupied the red and watery red rushes. 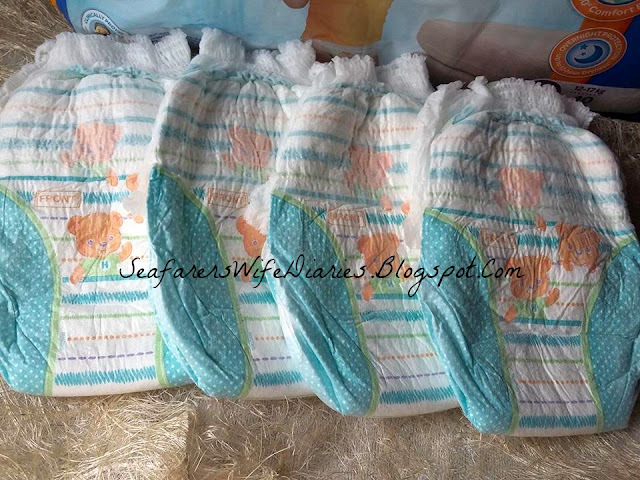 I worried a lot and thank you to my friend who suggested Huggies Diaper. I started using Huggies when my Zd was 7 months old with the medium size. Until now I still use it. 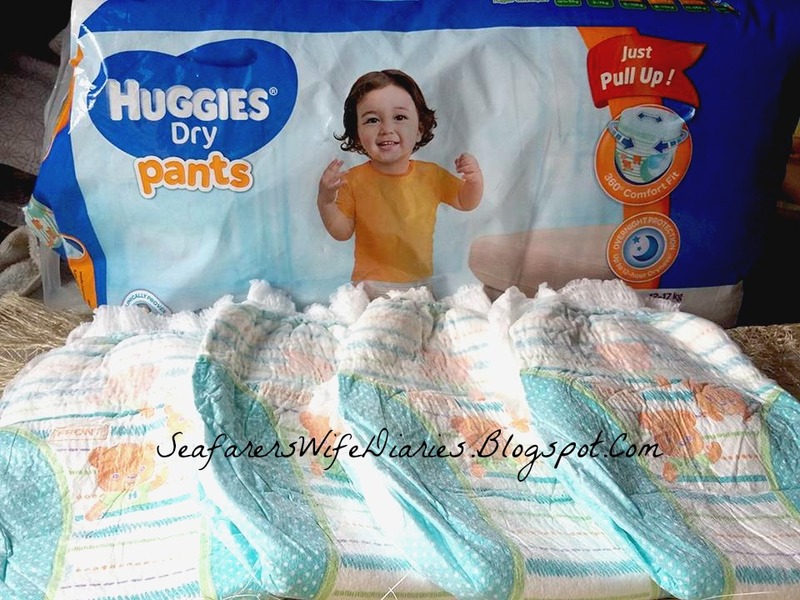 When I switched to Huggies, my toddler never encounter any rashes anymore and he is comfortable on it. It's not wetly and even it's full, still there's no leak. My family was invited by my husband's friend in Laguna. Thank God because even if it's rainy season, we got there safe and sound. They wanted us there to relax and take a rest first. They are really hospitable and kind. They even helped take care of our Zd bear. They are like our family or let's say that they are like our brothers and sisters. They are so excited to see and play our Zd boy and actually our first visit there last summer we stayed there in our Splash Island summer venture. 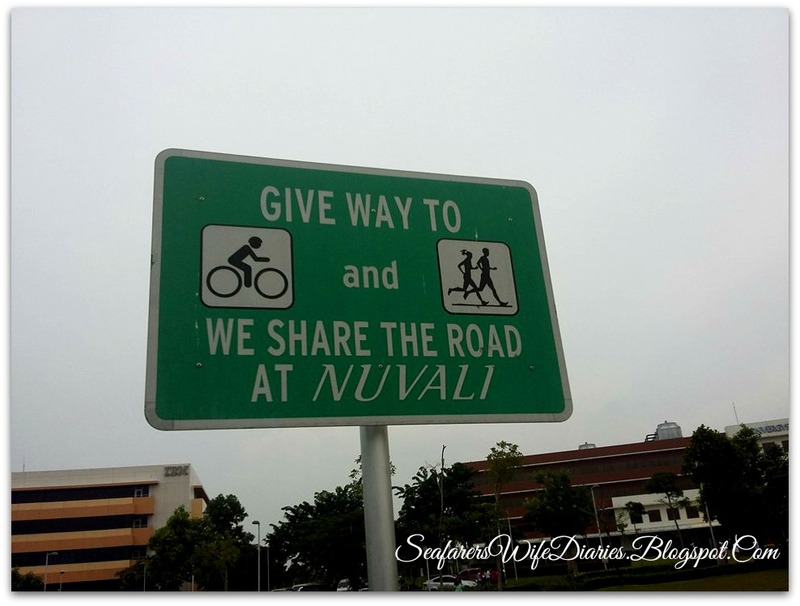 Saturday afternoon we headed to Nuvali Park in Sta. Rosa, and it's our first time to visit that park. They are called also that park as a "People Park" because there's no entrance fee and you can also bond there with your family and friends. The kids are enjoying the green fields and also we are able to enjoy there fish feeding the huge of fishes that really amazing. 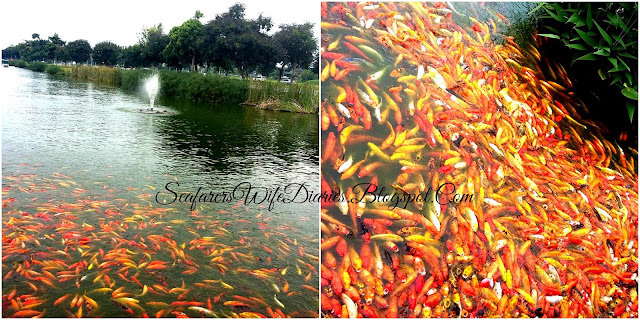 My husband and Zd were able to feed the fishes and they were enjoying it also. Last few weeks we've been busy, specially my husband. One night he said that we have only few time to spend together because last month he started his review at Ermita Cebu Gems Review Center. He wakes up 5am and leaves us at 6:00am then he will at home at 8pm from Monday to Friday. During Saturday the schedule of his review is from 7am to 12:00pm. Quality time for us three (me, Zd, and husband) is quite hard but it's okay "if there's a will and then there's a way". 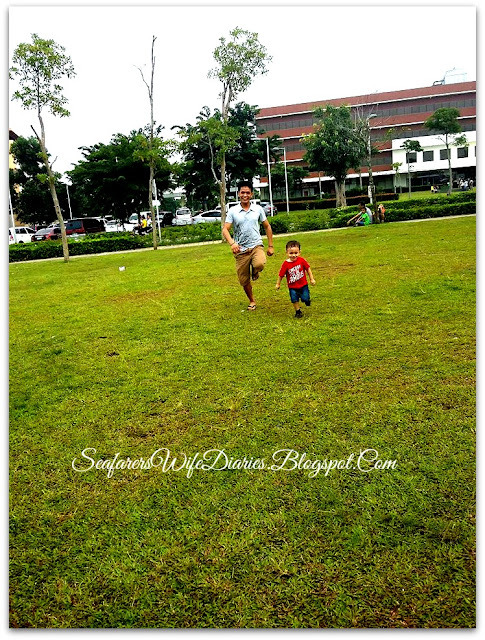 Last last saturday we had time to spend for family bonding in Quezon City Circle. 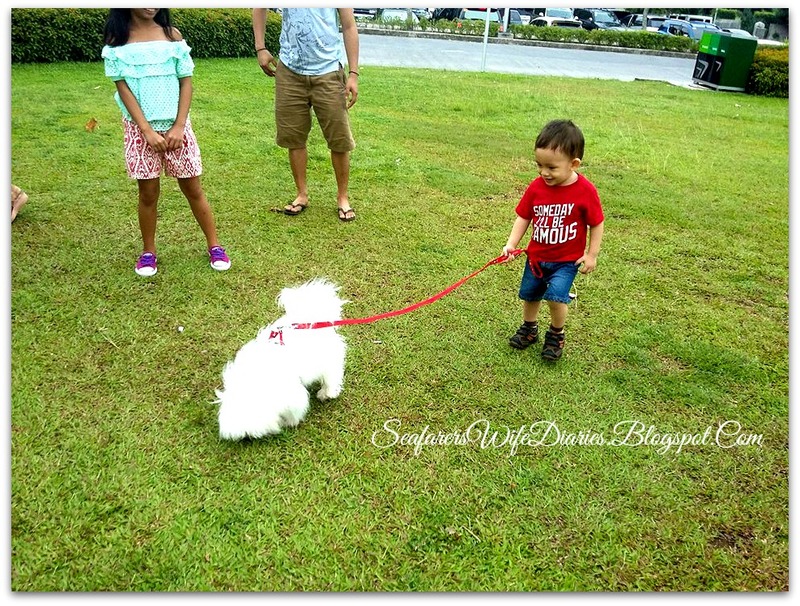 We had so much fun specially our Zd bear he is the one who did enjoy there. 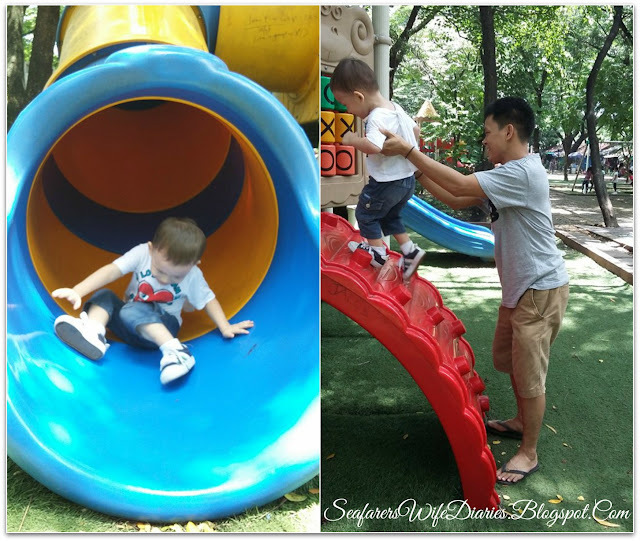 Zd bear and Lemuel had a chance to enjoy the moment through playing in the Quezon City Circle Play ground. They ran, walked, played the slides. enjoyed the biking. We hope that there's more Saturday bondings for us to come before my husband goes back to his work abroad. 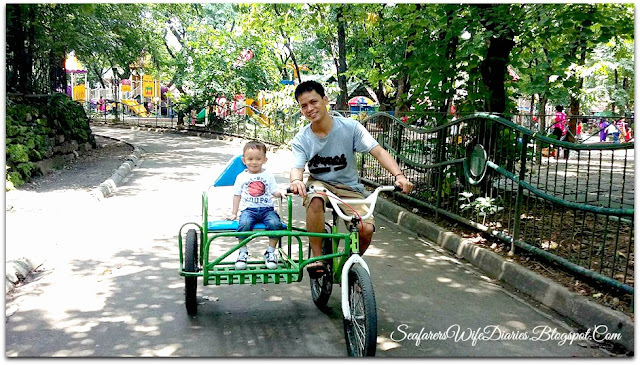 What is your family activity every week end? It's my pleasure to hear from you guys. Thank you so much and have a great and blessed weekend!!!! 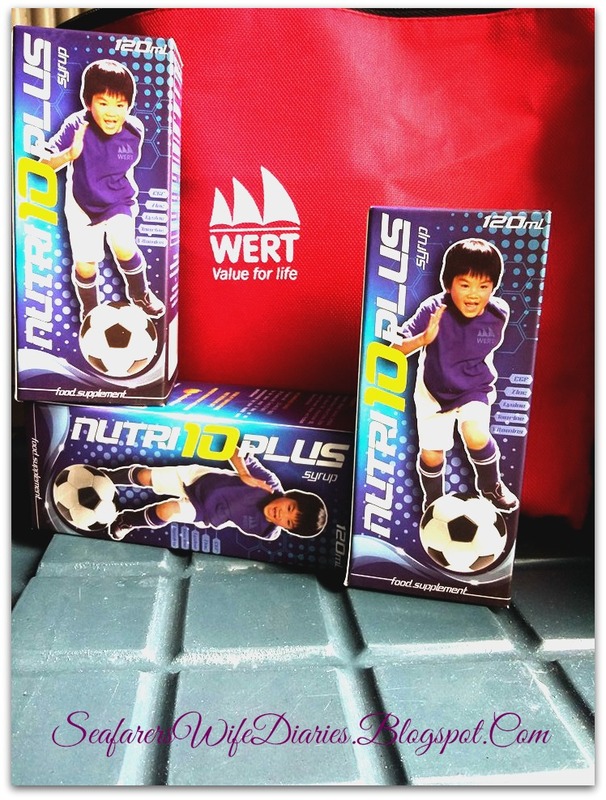 Last week, for the third time Nutri10 Plus sent a sample product from Wert Philippines. I gave it to my niece Chrencee Grace. She is 2 years old. 2 weeks before I received the Nutri10 Plus, I visited my sister in her house and I was surprised when I saw Chrencee Grace because she's thin and looking weak and my sister (her mother) said that Chrencee she was from fever and cough it's because of the weather. Her pedia gave her medicines and also a vitamins but I told to my sister what if you will try to change the vitamins of your Chrencee. So I gave Chrencee Grace Nutri10 Plus Vitamins and after 1 week I visited her again and I'm so happy because she's more become active and happy baby girl. I asked my sister how she was with her new Vitamins she said that "Okay na siya at bumalik na ang gana ng kain nya at malakas na sya pakainin di katulad noong nakaraang linggo". Now I can say that vitamins really helps our kids and their immune system and also help them to boost their energy. I would like to commend this vitamins because Nutri10 Plus (Sports Active Formula) is a food supplement that helps promote over-all immunity, maximize physical growth and enhance brain development. 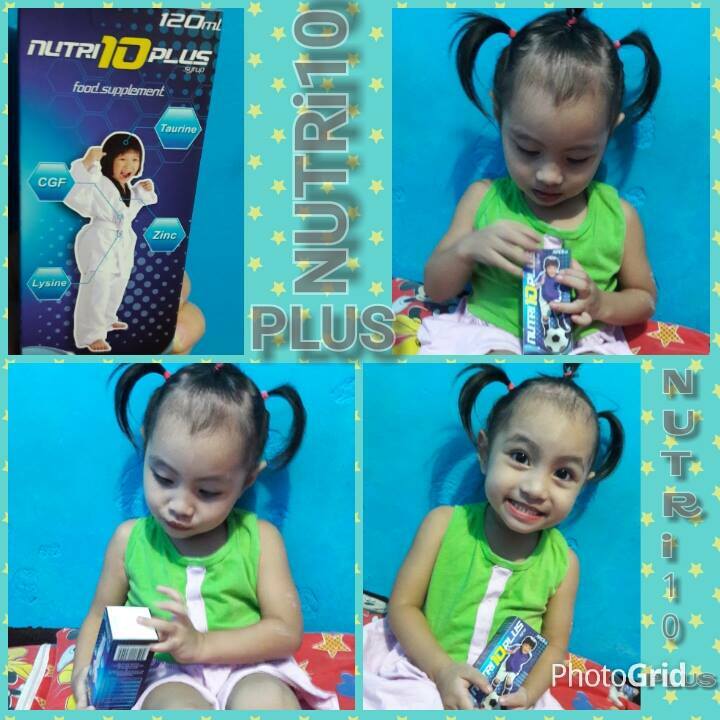 Nutri10 is now available in all leading drugstores. My First Dental Cleaning Ever! Moms are so busy day by day, specially those who are full time moms and also those working mom! 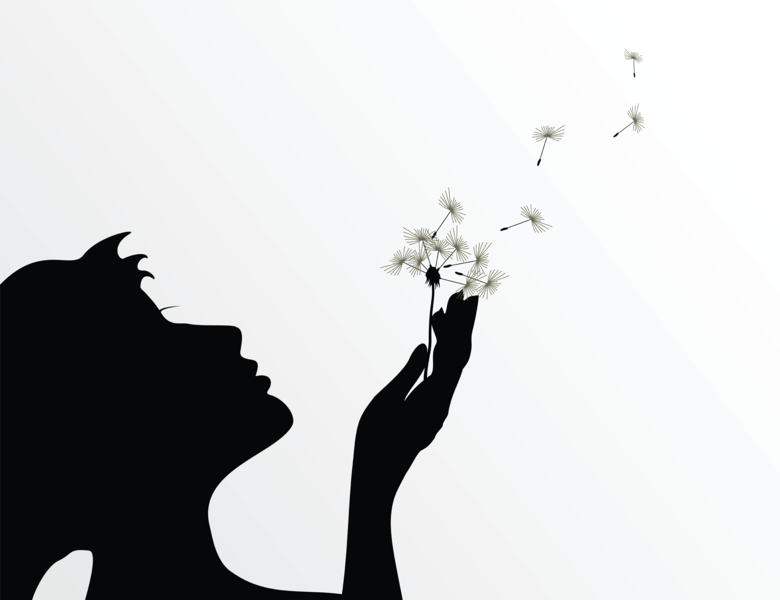 It is important to make our own time for ourselves, just to release the stress and pressures that we encountered daily in our busy days. We need to pamper ourselves. Other moms prefer going to salon, meet old friends and so forth. 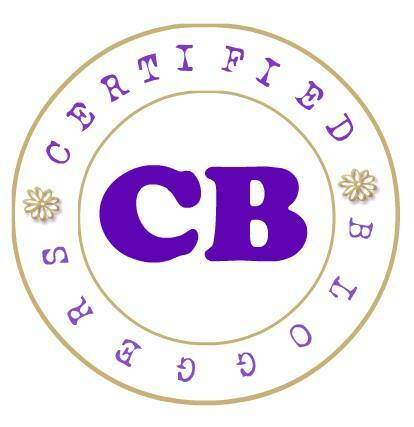 I am so happy because my husband treated me to clean my teeth at Cuerdos Dental Clinic near our place. That was my first time to experience cleaning for my teeth in the Dental clinic. At first I was so nervous because I thought when the dentist clean our teeth, there's a tendency na dumugo ng marami, but thank God my exaggerated imagination was not true! While the dentist was cleaning my teeth she said that I have 6 tooth that needed pasta. There's three that as soon as possible needed to be fix or else I will suffer tooth aches. So my husband told me next time we will come back there again to have all those 6 teeth done. Yay! Thank you my dear Lemuel! Oh well, I just realize that we really need to visit our dentist and check our teeth. Because sometime we are so lazy and wait the right time hahaha the right time na sumakit na yong ngipin natin bago pumunta sa dentist natin. It was Sunday afternoon, after our church service, when we opened the door, the neighbor's cat was approaching running straight and jumped up our family picture frame. The frame was broken and the frame glass are broke into small pieces! My Zd bear was there, Lemuel and I were clean the mess and made sure that nothing was left on the floor. 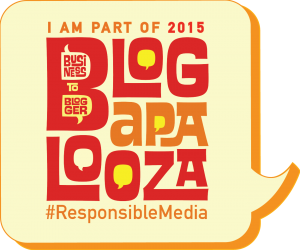 After a couple of minutes my zd bear went the area without his slipper and suddenly, he pointed on his left foot. When my husband checked his foot there's a broken piece of glass inside and my husband got it out. After a week my toddler kept running and playing. 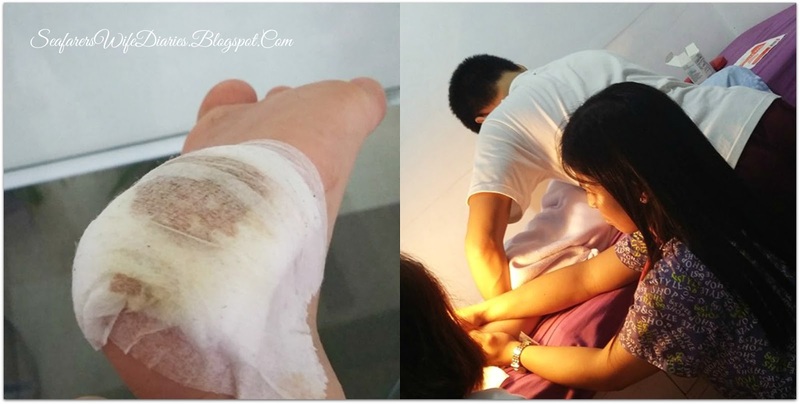 One Friday morning after his bath, my husband checked his wound and he was surprised when we saw his wound na namamaga na and may nana na, we decided to take him to his pedia. When we got there the Doctor said that we need to operate him. So the doctor started to give him an anesthesia. I think it's about 3 boosters of anesthesia. I really felt the pain he felt while my poor Zd was crying while he was being operated. And while we're hugging him I prayed to God, said sorry for what happened. I told myself that I promise to be watchful and alert for my Zd. Though it's not our fault but I know this is a lesson for us to learn. After his operation I told my zd boy, "zd boy it's okay na" and he replied "okay na! bye! bye!" The doctor gave him an anti-tetanus booster and antibiotics and referral for his x-ray. I thank God that everything is well. After this experience, I realized that being a mother is really hard. 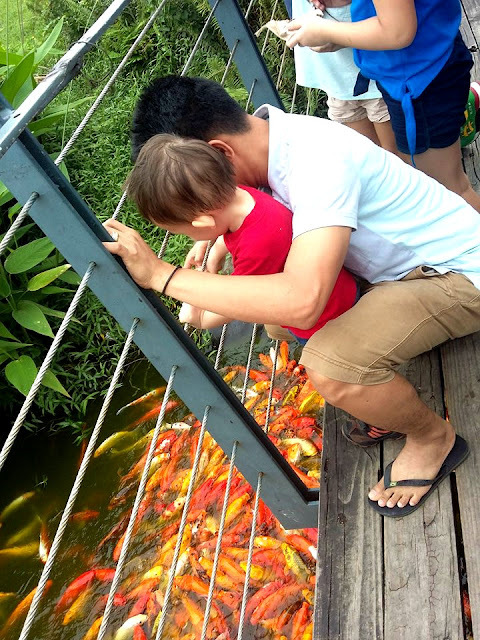 Being a first mum, when your child encounter some circumstances that really makes you a better parents. And every experience that I've been through has always a lesson. 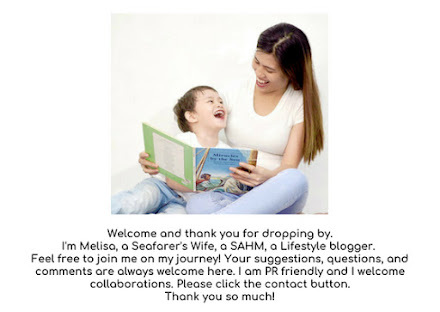 What is your unforgettable experience with your child?